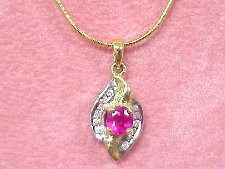 Check out this 0.75 Burma Ruby surrounded by 12 diamonds totaling 0.25 ctw set in 14k gold. 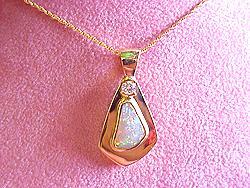 This is an exceptional pendant! 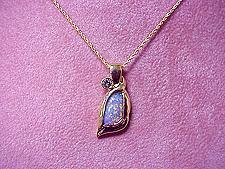 Custom 18k Opal and Diamond pendant...what more can we say? An absolute knockout! 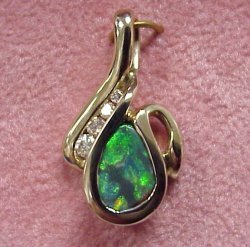 Check out this stunning custom 18k Fire Opal and Diamond Pendant! 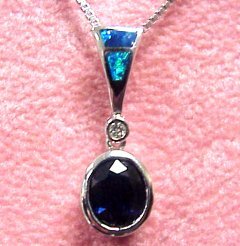 This beautiful blue sapphire sets off the blues and greens of the opal inlay. This stunning piece is set in 14kt white gold and accented with a diamond. 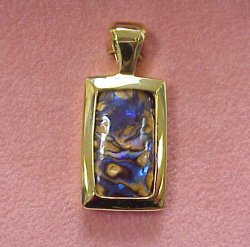 Brilliant color in this unique opal and diamond pendant. 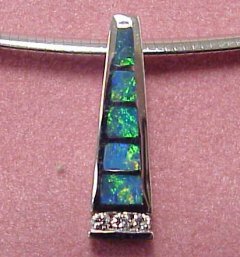 This great piece is set in 14kt white gold that really brings out the natural beauty of the opals. 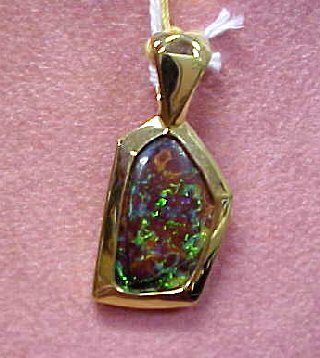 This Yowah Opal has striking wavelengths of red, green and blue opalescence. Mounted in our custom 18k gold bezel with an extra large bail to accomadate an Omega or gold chain necklace. Rich blue fire in the body of this rare Black Yowah Opal. Mounted in our custom 18k gold bezel and ready to wear. 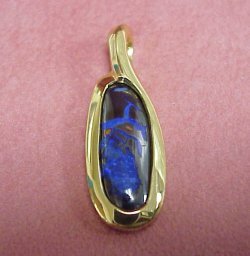 Turquoise and royal blue opalescence in the body of this rare and unique Black Opal pendant. Custom mounted in our 18k gold bezel. You will find striking green opalescence in this custom pendant. 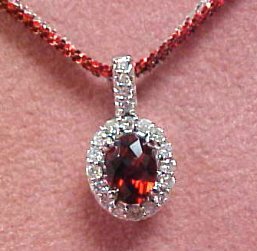 Mounted in 14kt white gold and accented with 4 round brilliant diamonds, Color G, Clarity SI1. 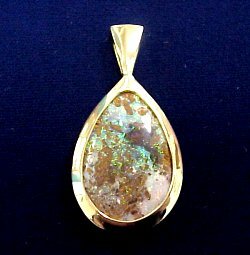 Beautiful freeform Australian Yowah opal with dimensions 18mm x 10mm and set in 18k yellow gold! A truly unique pendant!